Working at a computer station all day can take a toll on the body. We often hear phrases thrown around regarding posture, work station ergonomics, stretching, and strengthening. But what does this actually mean? More importantly, what does this look like? Repetitive activities, lack of mobility, and strength deficits can lead to injuries from overuse. 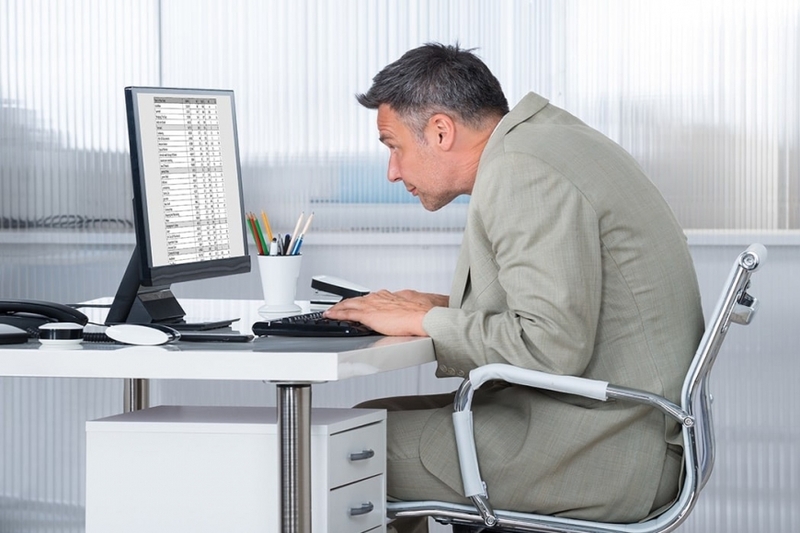 Sitting at an incorrect work station may lead to strength imbalances, tight muscles, and pain. This blog will cover five topics; what your chair should look like, the positioning of your keyboard, the position of your monitor, desk ergonomics, and exercises you can perform at your desk. What should my chair have? Where should I put my Keyboard? The keyboard should be slightly below your wrists if your forearm is horizontal with the floor and your elbows are bent at 90 degrees. You should be able to slide your knees under your keyboard so you are not reaching or extending your arms. Where should my monitor go? Your monitor should be directly in front of you. 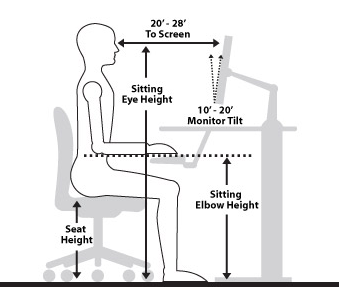 The top of the monitor should be eye level and at a distance where you can comfortable see the monitor clearly without changing your body position. Click here for a few exercises you can perform at your desk or within your office space. PT360 provides a wide variety of ergonomic services from individual assessments to corporate wellness programs - check us out by following this link to our Ergonomic Services page or contacting LuAnn Bellis, PTA, CEAS.